Copyright © 2013 – 2019 – John Carrillo. All rights reserved. As a user, you are authorized only to view, copy, print, and distribute documents on this Web site so long as (1) the document is used for informational purposes only, and (2) any copy of the document (or portion thereof) includes the following copyright notice: Copyright © 2013 – 2019. – John Carrillo. All rights reserved. We reserve the right to correct pricing errors by canceling the order and making full refund. If an item is listed as zero price, then item is not available. Our cut off time for all ground orders must be placed prior to 2:00 pm Mountain Time, this is our policy. Sometimes it is not possible due to an item being on back orders and holidays, which in these cases we will be in contact with our customers to let them know. Items ordered prior to 2:00 pm Mountain Time are shipped the same business day. Standard Shipping: Most FREE shipping is by US Mail. Post Office says 2-3 business days for delivery. United Parcel Service shipping is available to any street address within the contiguous United States, however may not be free. It is purchaser responsibility to assure that the shipping location you provide will accept US Mail deliveries. Expedited Shipping: FedEx 2-Day, 3-Day and Overnight are available. Cutoff time for expedited shipping is 12:00 pm Mountain Time. If you place order prior to 12:00 pm Mountain Time online, your order will ship the same day. If you have any questions, contact me directly at 970-518-3085. 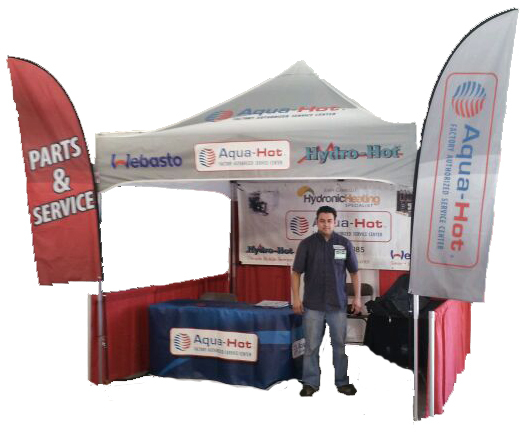 John Carrillo Hydronic Heating Specialist- Heat My RV charges Colorado Sales Tax for Will-Call merchandise for all parts picked up at shop location. Third party returns may be subject to a minimum 40% restocking fee.